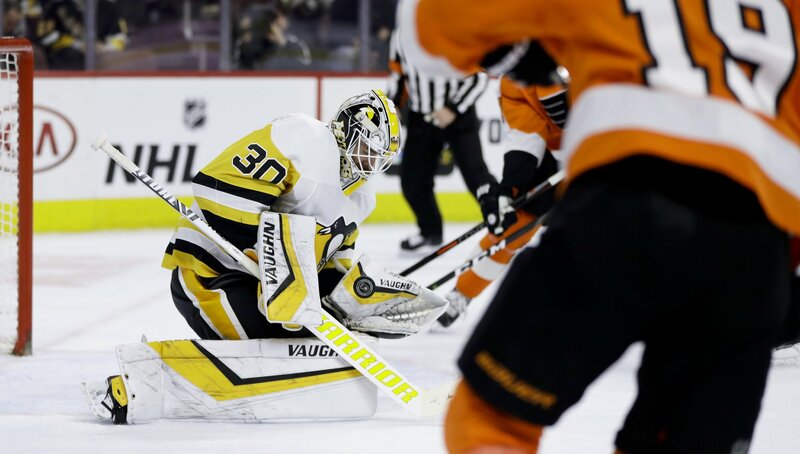 PHILADELPHIA (AP) — Matt Murray guzzled a sports drink through part of his postgame interview. It’s not surprising the Pittsburgh Penguins goalie needed to rehydrate after such an intense outing. Murray made a career-high 50 saves and Sidney Crosby had a goal and an assist to lead the Penguins to a 4-1 victory over the Philadelphia Flyers on Monday night.